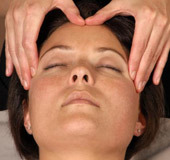 Tranquility, relaxation, and healing are just a few of the benefits you get from massage. 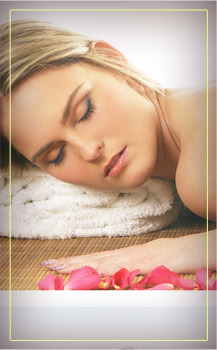 At Magic Zen Spa, we offer a full range of therapeutic and relaxing massage, so you can unwind from the week and feel refreshed and invigorated. There is no better way to treat yourself. 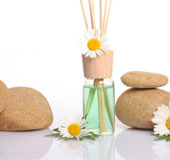 A wonderful accent to massage or personal treatments, aroma therapy is known to help improve mood, reduce pain, and even increase cognitive functions. 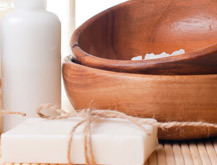 At Magic Zen Spa, we offer a wide selection of scents and oils that are perfect for helping rejuvenate your skin and relax. 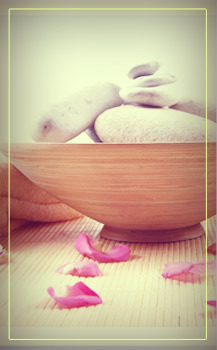 A newer holistic spa treatment, stone massage is beneficial for treating arthritis, headaches, chronic pain, and stress. Applying heated basalt rocks, our therapists use them in conjunction with other massage techniques to provide you with the ultimate in relaxing experience. 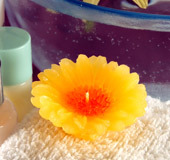 As a full-service massage therapy center and day spa, we offer treatment packages and spa specials to suit your relaxation and healing needs. and healing needs. In addition, we have certified neuromuscular therapists on staff able to treat injuries with deep tissue and trigger point therapy.